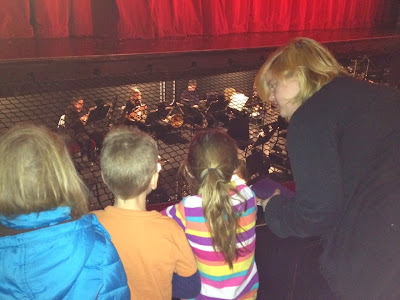 This afternoon, despite the snowstorm, we took a family class trip to see the Nutcracker, performed by the excellent NJ Ballet. 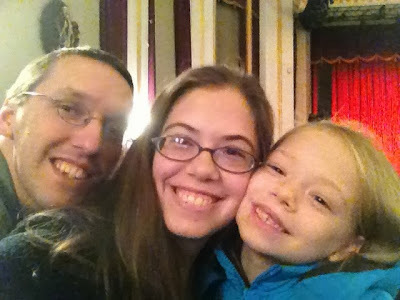 Lily's favorite part of the show was the two hot pink ballerinas. "I couldn't take my eyes off them!" Jacob's favorite part was "the guy who did all of the flips!" (the Russian dancer). 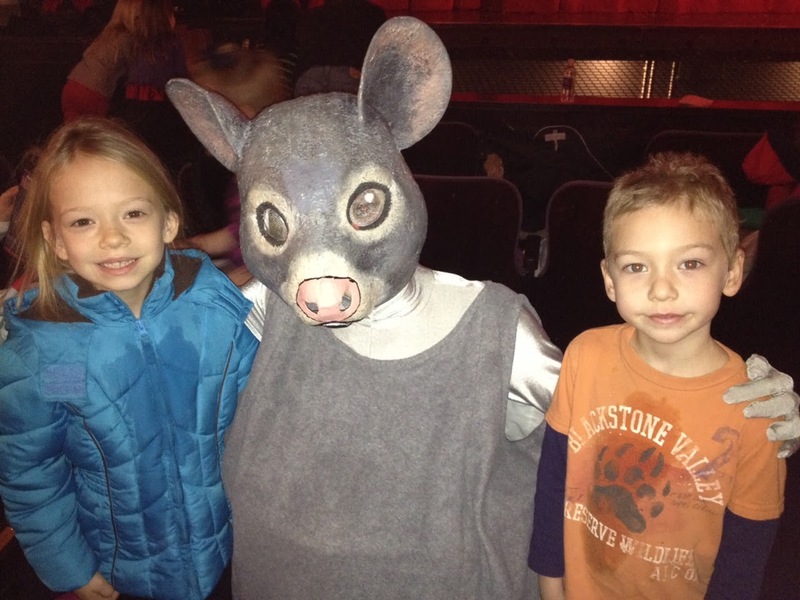 Lily and Jacob with one of the mice during intermission. 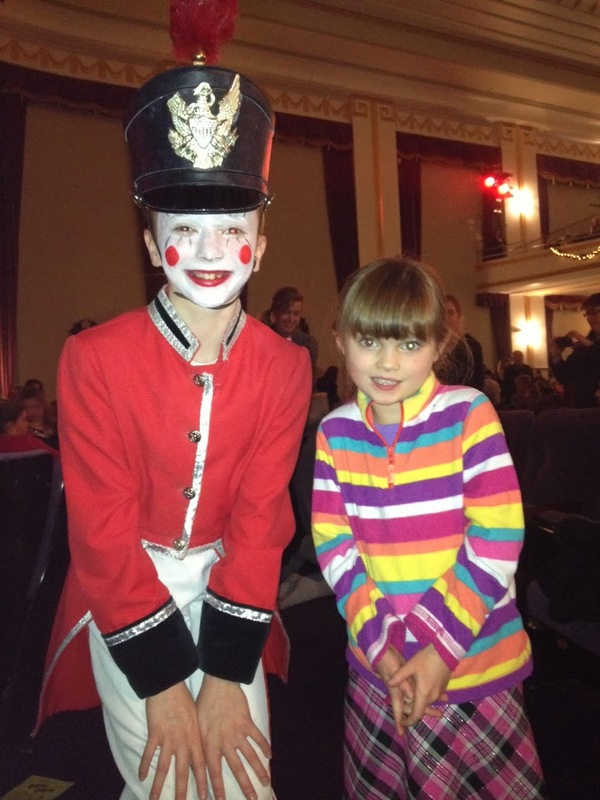 Jillian with one of the Nutcracker's soldiers. Kacki giving the kids a visual tour of the orchestra pit. Jacob was very excited to notice the balcony and requested we sit there next time. Sounds good! We have been studying Tchaikovsky for the last month or so in school, focusing mainly on the Nutcracker. 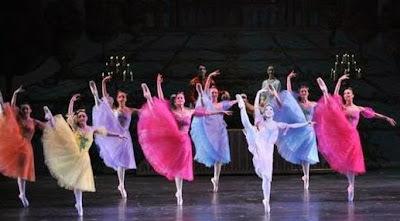 We've read the The Nutcracker Ballet (many, many times), listened to the CD , watched the movie on Netflix, and even acted it out in our living room. On the way home this afternoon, Ryan asked, "So now that we've done the ballet thing, we're done with it, right?" Hmmm guess ballet is not his cup of tea!